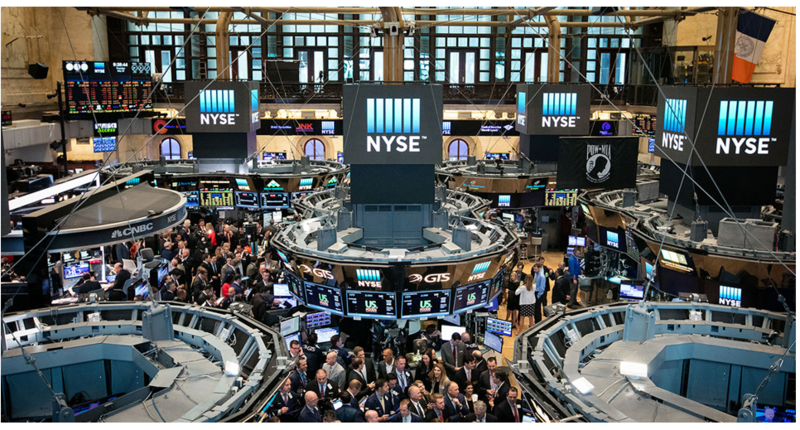 “This is a great start to fiscal year 2018 as we emerge a stronger company with an enhanced capital structure that positions us well for the growth opportunities in front of us.” said Jim Chirico, president and CEO. Brandon FL — November 2016 – Avatel Technologies has been awarded Avaya Diamond status in the highly respected Avaya Edge Partner Program. This is the highest level that can be achieved in the program and demonstrates excellence in customer centricity whilst providing exceptional value-added services around the Avaya solutions portfolio. Avaya revamped its partner certification program to recognize the changes in the marketplace and better reflect the abilities of those companies marketing Avaya solutions and products. The new Avaya Edge is designed to give partners the flexibility to meet their customers’ needs in today’s fast-paced digital marketplace, while providing greater rewards for those partners that deliver exceptional value. Jamie Wood, Executive Vice President for Avatel Technologies said, “The entire Avatel Team is extremely proud to be recognized as an AVAYA ‘Diamond’ partner in the Avaya Edge Partner Program. This achievement is a testament to our commitment to our customers and solidifies our partnership with Avaya, both now and in the future”. Avatel Technologies has built a reputation for technical and service excellence, winning the Avaya 2009 Channel Partner of the Year and the 2011 Catalyst Telecom SME Partner of the Year, in recognition of its consistently high standards and outstanding business results. Avaya has also awarded Avatel Technologies with the “Partner in Customer Excellence” designation in 2013,2014,2015,2016 and 2017 for Avatel’s high level of customer satisfaction. Santa Clara, Calif. – Nov. 1, 2016 – Avaya today announced a new streamlined channel program that better equips partners to thrive in a software and services industry and provides greater rewards for demonstrating customer centricity by delivering exceptional value. This new program—Avaya EdgeSM— will help drive mutual profitability and help ensure partners possess the expertise required to provide the transformative solutions customers need in the digital marketplace. Simplified Structure: Streamlined requirements and new gem designation levels—Diamond, Sapphire and Emerald—reduce complexity and the resources needed for partners to manage the program. For example, the Avaya Edge reduces the amount of time partners previously required to complete credentials by up to 50%, and partner co-delivery performance metrics have been reduced 56%. Greater Benefits: Partners are now compensated for a broader scope of revenue, including not only hardware/product sales as well as recurring services and software. In addition, new incentives will reward partners for strategic areas of achievement, such as customer value, growth and new product adoption. Flexibility: The new program is better structured to accommodate and adapt to ever-changing industry, customer and partner dynamics. The introduction of five partner tracks aligns with their go-to-market model, and maps partner revenue targets and rewards based on track and geographic region. The new program is in effect as of October 1, 2016. To support the transition, existing authorized partners are evaluated under both the previous and new programs and awarded at the higher level for the first six months. Kerravala said ShoreTel has its own cloud offering and cloud partner program that allow the channel to sell its suite of cloud-based VoIP services, while Avaya is enabling its cloud partners to build a cloud rather than offer one directly. “What’s important is that the vendor plays in the cloud-collaboration market regardless of whether they choose to build, enable others to build, or both,” said Kerravala. Wood said the move to cloud communications will be a gradual evolution, and opportunities for solution providers are biggest in the midmarket. Analysts said solution providers need to expand their level of expertise in cloud or face extinction. Unified communications (UC) and networking vendor Avaya has acquired Esna Technologies to accelerate the adoption of communications-enabled applications that will create stickiness for channel partners, Avaya has revealed. Esna, a Richmond Hill, Ontario-based communication and collaboration software provider, embeds UC and real-time collaboration tools inside applications. The terms of the deal were not disclosed, but the Santa Clara, Calif.-based vendor now has all of Esna’s intellectual property, contractors, customers and employees, as well as its roughly 200 partners, according to Avaya’s Gary Barnett, senior vice president and general manager of Engagement Solutions. An integrated, Esna-enabled Avaya Communicator Web client will become available for both of Avaya’s platforms — IP Office and Aura — with capabilities that can be embedded into public or private cloud-based business applications, according to Barnett. The acquisition will also enable end users to easily access multi-vendor communications — such as voice, video, conferences and messaging — seamlessly from within cloud-based business applications when using a device. Woods said the acquisition allows customers to leverage their current communications infrastructure and integrate newer “vendor neutral” technologies into cloud-based applications. “I think most Avaya partners would agree that a true integration platform is the next phase of UC. … This approach creates true convergence of business and communications applications, as you don’t need to use multiple applications to connect and communicate,” said Wood. Barnett said some key reasons for the acquisition was to help make Avaya a differentiator in the market and create better stickiness for partners with their customers. “Competitors take the approach that says, ‘Here, put my client on your desktop’ — and we’ve heard very loud and clear from our customers that they don’t want another client on their desktop,” said Barnett. “What they want is for their existing applications to be engagement-enabled. … We’ve become a much stronger embedded, seamless technology as opposed to a stand-alone, loosely integrated client.” Barnett said Esna is a subsidiary of Avaya but will be integrated overtime. Avatel Technologies is a nationally certified Avaya SME Expert and Avaya Silver Business Partner. The company has a broad range of experience in communications management, engineering, revenue generation, and business development. Since 2002, Avatel experts have been helping businesses of all sizes use communications technology and applications to operate more efficiently and effectively. Headquartered in Florida, Avatel’s more than 3,000 technicians work with customers nationwide to deliver the communications solutions that provide maximum business value. With a large staff of inside sales reps, Avatel needed a steady stream of quality sales leads to fill its sales pipeline. The company was using multiple lead lists from non-Avaya sources, as well as Aim Moving leads and Avaya BANT SME RegGen Leads. However, even with multiple lead sources, Avatel was finding it difficult to achieve success. Competition was fierce for many of the leads, while on others, Avatel found the decision-making process was already well underway. The Wholesale RegGen lead program, part of Avaya MarketLeaders 3.0, provides high-quality leads targeting prospects in the SME/midmarket space. Lead lists are available for prospect organizations of between 20 and 100 employees, or between 100 and 1,000 employees. Each list delivers a mix of high-volume, low-cost leads that are ready for follow-up and nurturing. Avatel chose to purchase a lead list from the Wholesale RegGen program with the hope of better success in filling its sales pipeline. Because the leads were not BANT qualified, Avatel had an opportunity to talk to prospective customers early in the sales cycle. This allowed Avatel sales reps to connect with new prospects and begin to cultivate relationships. Avaya Wednesday made several shake-ups to its channel organization, including the appointment of former VMware executive Joe Lohmeier as its new U.S. channel chief. The unified communications vendor also revealed several tweaks to its Connect Channel Partner Program aimed at shifting Avaya’s partner rewards structure from a volume- to a value-based model. Avaya’s new vice president of U.S. Channel Sales Joe Lohmeier replaces former U.S. channel lead Karl Soderlund, who left Avaya in March for Aruba Networks. Lohmeier joins Avaya from VMware, where he most recently served as vice president of Americas Sales, according to an internal Avaya memo written by Vice President of Avaya’s Worldwide Partner Organization Richard Steranka and shared with CRN. Prior to his two-year run at VMware, Lohmeier spent 12 years at Cisco, where he was most recently director of sales, according to his LinkedIn profile. Lohmeier, who was not immediately available for comment, will report to Steranka. Lohmeier’s appointment is one of several shake-ups made recently to Avaya’s executive channel ranks. In September, Tom Mitchell, senior vice president of global sales at Avaya, revealed plans to resign. Avaya tapped Pierre-Paul Allard, senior vice president of global strategy and development, as Mitchell’s replacement. Lohmeier joins Avaya as the Santa Clara, Calif.-based company prepares a major shift in the way it structures its Connect Channel Partner Program. Starting in October, Avaya will no longer segment partners as Silver, Gold or Platinum based solely on revenue as it has done in the past. Instead, partners will be ranked based on their earning of a new set of certifications called Solution Experts. According to Steranka, this shift in how Avaya ranks and rewards its partners was based entirely on solution provider feedback. “They really wanted a way to differentiate themselves in the market,” Steranka told CRN in a recent interview. Out of the gate, Avaya is offering six Solution Experts designations: Unified Communications for Enterprise; Unified Communications for Midmarket; Contact Center for Enterprise; Contact Center for Midmarket; Networking; and Video. To reach the Platinum level, partners will need to hold at least three Solution Experts designations, while Gold and Silver partners will need at least two and one, respectively. Partners’ ability to earn these new Solution Experts designations is based on three factors. First, they will need to have a certain number of employees holding Avaya’s sales, design and implementation credentials. Steranka said Avaya has not decided how many credentials partners will need to hold. Second, partners will still need to hit a certain revenue threshold to earn a Solution Experts designation. Specifically, partners will have to reach and maintain a set sales quota for whatever Avaya product is associated with that Solution Experts designation. To earn the Unified Communications in the Enterprise designation, for example, partners will need to hit a certain revenue goal for Aura, Avaya’s enterprise-focused UC platform. Steranka said these revenue requirements won’t be as high or as tough to reach as they were under the former program. He said Avaya hasn’t decided what the new revenue targets will be yet. Lastly, partners will need to reach and maintain a set customer satisfaction score to quality for a Solutions Expert designation. Partner discounts at the Platinum, Gold and Silver tiers will not change under the new program. Wood, for her part, said she expects the revamped Avaya Connect program to accelerate Avatel’s climb to Gold or Platinum status, now that revenue requirements aren’t as heavily weighted. She noted that it also puts Avatel, which focuses primarily on the SMB and midmarket, on a more level playing field with larger, enterprise-focused Avaya partners. “This is really going to allow us to reach for the top,” Wood said. Steranka said the program changes will go into effect this October, but partners will have until October 2015 to meet the new medal status requirements. Tampa FL – February 19, 2013 Avaya has awarded Avatel Technologies with the “Partner in Customer Excellence” designation. The prestigious “Partner in Customer Excellence” designation from Avaya identifies and rewards Avaya channel partners who achieve significantly higher scores in their customer satisfaction surveys. With an expansive network of Avaya channel partners, customer satisfaction is a critical element in determining partner level status for Avaya, and recognizes those that go above and beyond. “Partner in Customer Excellence” is awarded to an Avaya Business Partner for achieving superior customer satisfaction over the past 12 months including both sales and support services to Avaya customers and only a select group of Avaya Business Partners have attained the “Partner in Customer Excellence” designation. The survey is part of a channel initiative conducted on behalf of Avaya by Walker, global experts in customer service consulting. The “Partner in Customer Excellence” Avaya Connect program was introduced by Avaya in 2011, to recognize excellence in customer service. It focuses on all aspects of service and support provided by Avaya’s partners. Walker’s quantitative research asked Avatel’s clients to rate different elements of the service and support they received from remote and on-site engineers and our client service technical representatives. Responses were graded from 1 (Poor) to 5 (Excellent). Avatel achieved an exceptionally high averaged score of 4.67. Jamie Wood, Executive Vice President for Avatel said, “This certification honors both Avatel’s high level of customer satisfaction and technical expertise. This designation is truly a reflection of our entire corporate focus on customer service. Achieving consistently high levels of customer satisfaction is one of the best ways for Avatel to compete effectively, grow our customer base and increase profit. Customer satisfaction is essential to the survival of our businesses and is a key performance indicator within our business”. Avaya has been a strong proponent of Customer Satisfaction as a key driver of repeat business and growth. Securing the “Partner in Customer Excellence” status further strengthens Avatel’s relationship with Avaya.” In addition to the “Partner in Customer Excellence” designation, Avatel holds both Avaya Silver Partner and SME Expert designations. Avatel Technologies a premier Avaya Business Partner offers a full suite of solutions to help businesses operate more effectively and efficiently with a range of solutions including IP Telephony, Data Infrastructure, UC, Video, IVR, Wireless and much more. Avatel maintains a clear vision through a single core business philosophy: helping customers find smarter telecom and networking solutions. www.avatel.us. Tampa, FL — 12/10/12 – Avatel Technologies, a leading communications solution provider, announced today they are authorized to sell Avaya’s Radvision Scopia video solutions to their clients as a partner in the Avaya Connect Channel program – an Avaya reseller community encompassing approximately 10,000 companies around the globe. This expands Avatel’s unified communications portfolio with the capabilities and competencies driven by the Scopia line of innovative video communications solutions. Jamie Wood, Avatel’s EVP says “Avatel is happy to join the ranks of highly-competent Radvision channel partners authorized to sell Radvision Scopia® video solutions as part of our unified communications offerings”. Avatel was one of 50 hand-picked specialist partners to adopt video via a fast-track authorization scheme, ahead of the authorization program being made available to all Avaya Connect partners in January 2013. Avatel was required to meet all training requirements, invest in demo equipment and complete all services assessments. This enables Avatel to expand their capabilities and competencies with a new generation of feature-rich, interoperable and user-friendly video solutions for real-time collaboration. Avatel will receive top-tier levels of technical support, services integration, and training for incorporating enhanced video into a communications solution. Avaya acquired Radvision earlier this year, bringing innovative Scopia video products and technologies into Avaya’s portfolio of UC solutions. Avaya since the acquisition’s close has been able to offer interoperability between Radvision Scopia, Avaya Aura, Avaya Flare Experience, Avaya 1000 series and one-X Communicator products, with integration for IP Office soon to follow. Avaya is also in the process of tying Radvision and Avaya hardware and software MCUs together and finishing broader interoperability between Radvision Scopia products and Avaya wares like session border controllers and other functions on its Aura platform. This will bring more affordable real-time collaboration video to more businesses, simplifying the ability to communicate anywhere, on any device and on any network. Contact Center Association is dedicated to providing resources, information, education and professional networking opportunities to the global contact center community. Supervisors, workforce managers, directors, VP’s and executives turn to CCA as the go-to resource for contact center tools and techniques, problem solving methods, business skills, career development and more. Contact Center Association is dedicated to providing the contact center industry with a foundation designed to encourage creativity while providing a framework for validation of activities happening within our industry. CCA provides a place where professionals can gather to share, learn, build relationships, contribute knowledge, and validate the industry’s direction with the goal of improving the careers of the individuals. 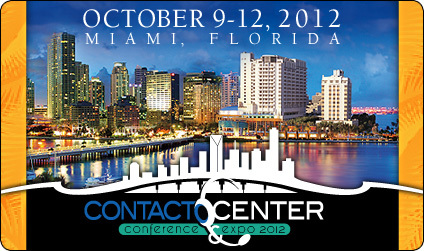 Avatel is very excited to announce participation at the Contact Center Conference in Miami, Florida on October 9th-12th. Colin Jeffs, Avatel’s Enterprise Director was selected out of hundreds of applicants to speak at the event. Colin is also a featured writer in the newsletter. Colin Jeffs Enterprise Sales Director, Avatel Technologies Inc. – Colin Jeffs has over 30 years designing and managing contact centers across Europe and the United States including Ford in Europe. Come see Colin at the Contact Center Conference and Expo in Miami from October 9-12, Friday, 11:45am – 12:45pm. Colin will lead session 1001: Why Workforce Management and Analytics? , part of the Workforce Optimization track. What size of contact center benefits from WFM & Analytics. What challenges WFM can/cannot solve. The Human side of why contact centers deploy WFMand why others don’t. Colin Jeffs – Enterprise Sales Director, Avatel Technologies Inc.
One of the biggest challenges in the contact center is getting useful and accurate reporting and feedback. In fact, I don’t believe there has been any real way of knowing if the feedback you are getting is good until you make adjustments in a trial and error manner. Contact centers for many years have had to rely on manager’s hands on, gut instincts. Historically, it has been impossible to listen and grade ALL customer conversations, leaving quality management teams and center managers to make decisions on just a small percentage of calls, typically no more than 3-5 % of calls. But this all changes with the introduction of speech analytics. For those who don’t know, speech analytics works by converting your recorded conversations into text and then analyzing the text for patterns. (Given that multimedia in a contact center is already in a text format such as email or chat, Analytics can be applied to these text conversations also). A good speech analytics solution can check for, not just words, but combinations of words such as “I hate your service” or “I love your new product”. It can also detect voice inflection such as someone who is frustrated may talk louder, shout or talk faster or slower. By combining the words said and how they are said along with the ability to analyze ALL your recordings, speech analytics can provide far more accurate reporting and depth of knowledge. Incidentally, speech analytics has been around in the government space for a quite a while which means big brother is watching AND listening! So, what are the challenges with speech analytics? The most common objections I experience when consulting to contact center management is a combination of resistance to change and doubt about the ability of the solution. Often, when new technology is deployed in a contact center, staff reductions follow. Speech analytics could easily reduce the number of staff needed in your quality management department and deploying and developing such a solution requires changes which often, people tend to resist. Like Social Media in contact centers, speech analytics is still very new and it is not always easy to find good examples of speech analytics working particularly when the government market is highly classified. Combine this with an uncertain market and companies are hesitant to spend until they are very confident of a positive result and a short return on investment. The companies that are deploying speech analytics today are generally the more forward thinking and larger contact centers where the cost of such a solution is generally a smaller part of the overall contact center budget. What are the advantages of speech analytics? One of the most powerful advantages of speech analytics is the ability to be proactive and react faster. It allows you to quickly detect patterns and therefore take action from reports and not gut instinct. For example, your company launches a new product and you have just shipped the first batch last week using a new carrier. Unfortunately the packaging is poor and some of the products are arriving to customers broken. Although your agents may give you some feedback about customers calling to complain, an individual agent cannot see what is happening across all agents. With speech analytics the solution can mark all the calls that have this issue and then can alert you. You can then cross reference the calls with information you have in your database such as the geographic location of the complaints and which carrier is being used. With this information you can confidently report these problems and stop future shipments until packaging is corrected or carriers are changed. Another good use of speech analytics is when a customer complains to an agent but the agent cannot efficiently capture the complaint. Speech Analytics can detect generic phrases such a customer saying to an agent “I am very unhappy” or “I wish to speak to a supervisor”. These calls can then be grouped and analyzed by your quality management team for action. Often companies use speech analytics for compliance. For example if it is compulsory for an agent to say certain words a speech analytics solution can red flag the conversations that don’t contain the specific words. Often when a new agent comes out of training speech analytics can help grade the agent by detecting keywords and phrases that an agent should say such as “is there anything else I can help you with today”. The more keywords the agent says, the higher they score. These are just a few examples of speech analytics in use and I am sure you can think of other examples in your contact center. In today’s high demand for better customer service speech analytics is a very effective way to literally listen to every customer and collate that information for effective use. I wouldn’t be surprised if speech analytics becomes a “must have” feature for all future contact centers. Tampa, Florida – June 26, 2012- Avatel Technologies, a communications solution provider and Premier Avaya Business Partner, announced its 2nd Quarter recipient of the Avaya IP Office phone system for their “2012 Giving Back” Program. Avatel’s 2nd Quarter non-profit recipient is the Florida Council on Economic Education. Based in Tampa, the FCEE educates Florida’s students, from kindergarten through high school in economics, personal finance, entrepreneurship and our free enterprise system. Jamie Wood, Avatel Executive Vice President says “As successful members of the community, we have a responsibility to support our community. We understand the value of charitable giving and have a strong commitment to making a difference in the communities in which we reside. We believe that communication is critical to the successful operation of any nonprofit and this includes an effective phone system that meets the organization’s needs”. “We are honored to play a role in supporting the FCEE and we understand the importance of educating students on personal finance to ensure tomorrow’s consumers avoid the mistakes of today”, says Wood. The Florida Council on Economic Education has been empowering tomorrow’s leaders through economic understanding for over 35 years. Currently the Council has various programs geared at educating Florida’s youth on topics such as, the stock market, ethics, and fiscal responsibility. The FCEE is affiliated with four Centers for Economic Education on university campuses across the state where teachers are educated on the fundamentals of free enterprise and financial literacy ultimately creating an enormous multiplier effect. The mission of the Florida Council on Economic Education is to prepare Florida’s young people for personal and financial success through educational programs in economics, the free enterprise system and personal financial literacy so that they become productive members of the workforce, responsible consumers and wise investors. To learn more about the Florida Council on Economic Education and how you can help us achieve our mission, please call 813-289-8489 or visit us at www.fcee.org. Tampa, Florida – December 19, 2011- Avatel Technologies, a communications solution provider and Premier Avaya Business Partner, announces its 2012 “Giving Back” Program. The company will donate Avaya phone systems to worthy non-profit organizations in the local area. Jamie Wood, Avatel Executive Vice President says “Non-profits are a vital and important fiber in the fabric of our communities. In this economy, many nonprofits are coping with a significant reduction in funding, forcing them to count every penny. Communication is critical to the successful operation of any nonprofit and this includes an effective phone system that meets the organization’s needs”. Avatel will donate one Avaya IP Office phone system each quarter in 2012, including project management, implementation and training to a non-profit or charitable institution. Avatel employees will vote on and select the recipients of the “2012 Avatel Giving Back” program. “Our team is very involved with community support and makes it a standard part of both their personal and professional responsibilities. We want them personally involved in our 2012 Giving Back program. By having their voices heard, they are able to make a personal connection to those in need and see the genuine impact on the local community by their choices. We look forward to giving back to those worthy non-profits and charitable organizations throughout the year and ultimately providing meaningful support to those who need it most” said Wood.